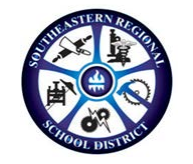 If you have completed an application for admission to Southeastern and you or your child are currently in 8th-grade, use the User Name that was given to you when you completed the application. If you cannot remember what your User Name is, please refer to your email inbox. If you deleted the email that was sent to you, please contact the Admissions Office. Once you have entered your User Name, you will be asked which three Showcases you or your child would like to participate in. Once you selected the three Showcases, click “Register for Event.” You will receive a confirmation email to the email address that you listed as the primary email address on you or your child’s application. If you have not completed an application, click “no” when the page asks you if you have registered on the admissions website. Be sure to select the three vocational programs that you would like to explore during Open House and complete the registration information below where you select the three programs to explore. Once you have completed the registration process, you will receive an email from us confirming your registration. If you have any questions or problems registering, please contact Derek Ferris, the Admissions Counselor at dferris@sersd.org.